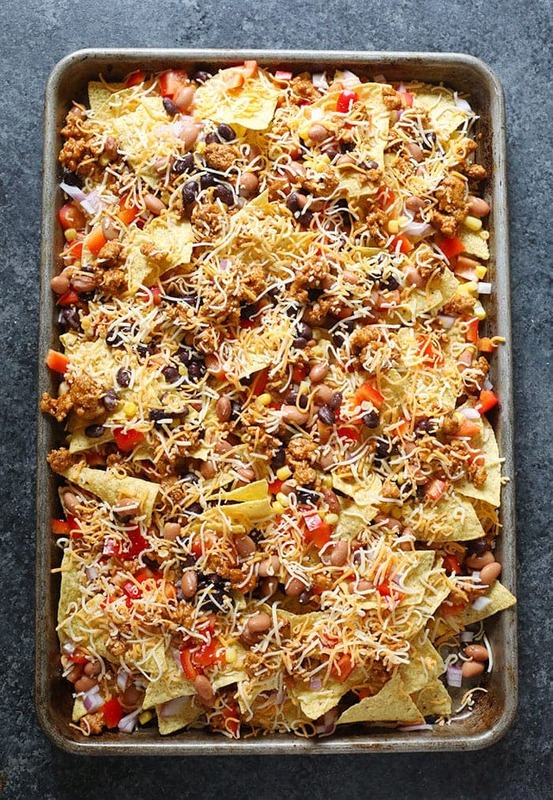 These loaded chicken nachos are one of my favorite 30 minute meals. They’re packed with protein, veggies, and I promise you the entire family will love it! 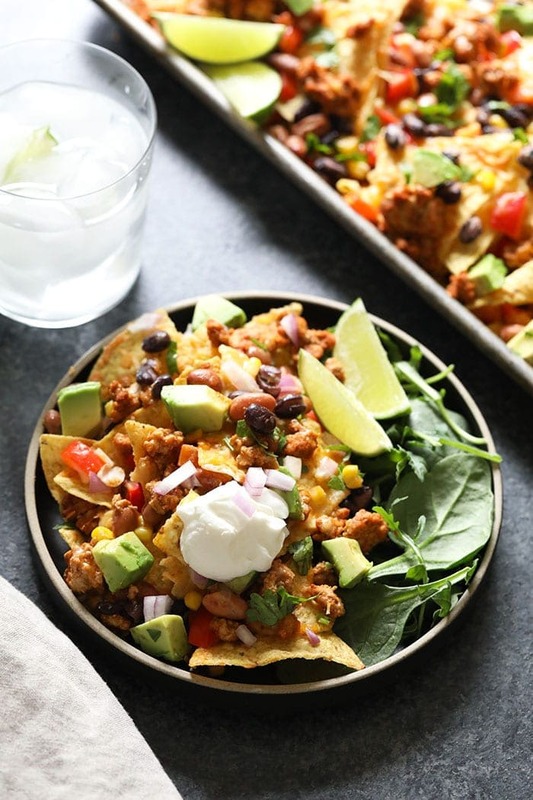 Chicken nachos –> they’re one of myall-timee favorite 30 minute meals! 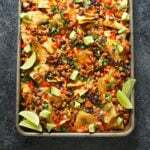 At Fit Foodie HQ we make some sort of nachos recipe (usualy a nacho bar) almost weekly because, well, we’re chip-obsessed. 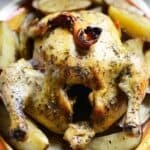 I know that chips aren’t the most healthy food on the planet, HOWEVER, IMO it’s all about what you put on top of them! 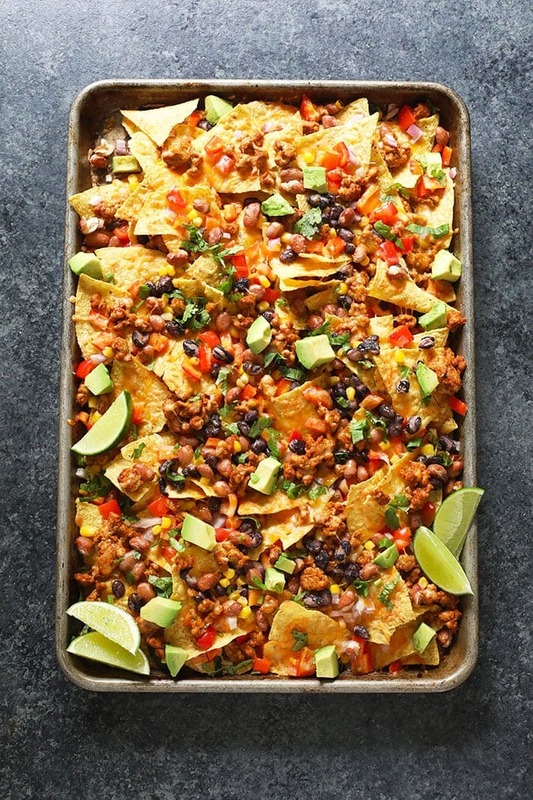 These loaded chicken nachos have all of my favorite things on them including chicken taco meat! That’s right, we kept things super simple and added our favorite taco seasoning to the ground chicken. Other toppings include beans, cheese, and red pepper. 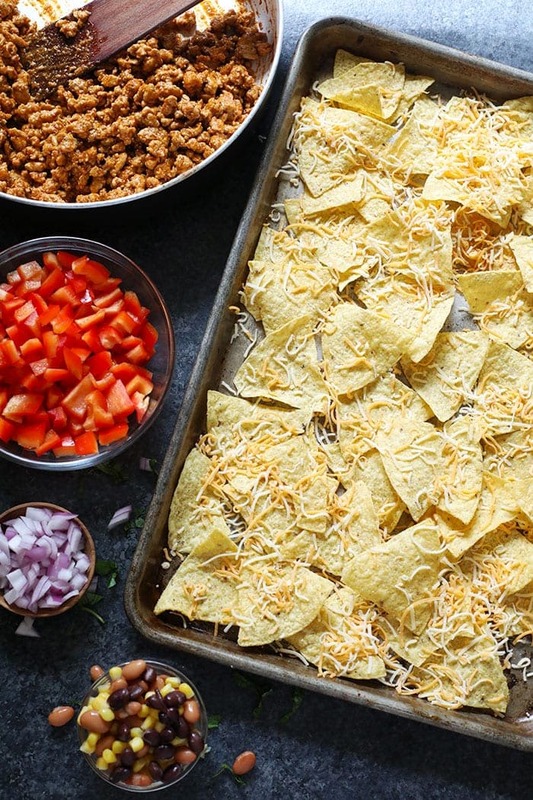 It wouldn’t be a nacho recipe without the toppings having toppings. That’s right, once you bake all of that goodness in the oven, you top that with more deliciousness such as Greek yogurt, lime juice, avocado, and cilantro. Anyone else hungry? 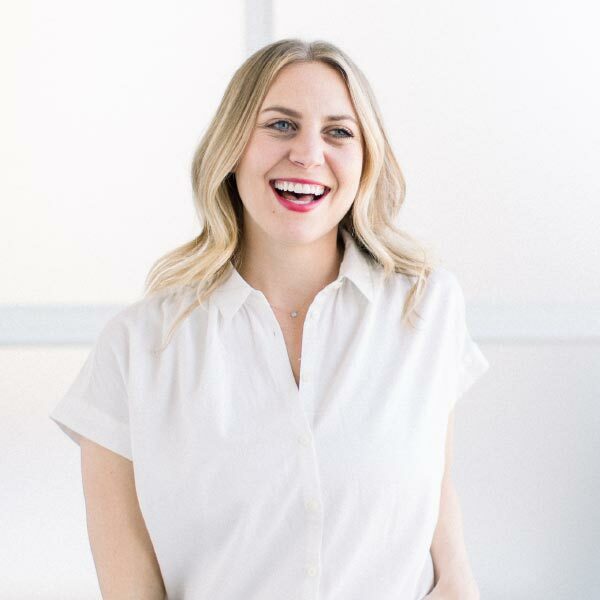 Now, let’s talk all things chips. If you look in my cupboard right now, you’ll likely find about 6 bags of opened chips because I really like to mix it up. If I had to choose my all time favorite right now it would for sure be Siete’s Grain-Free Nacho Tortilla Chips. They are a bit pricey, but I LOVE THEM SO MUCH. Anyone else a double-decker nacho kind of person? We are! 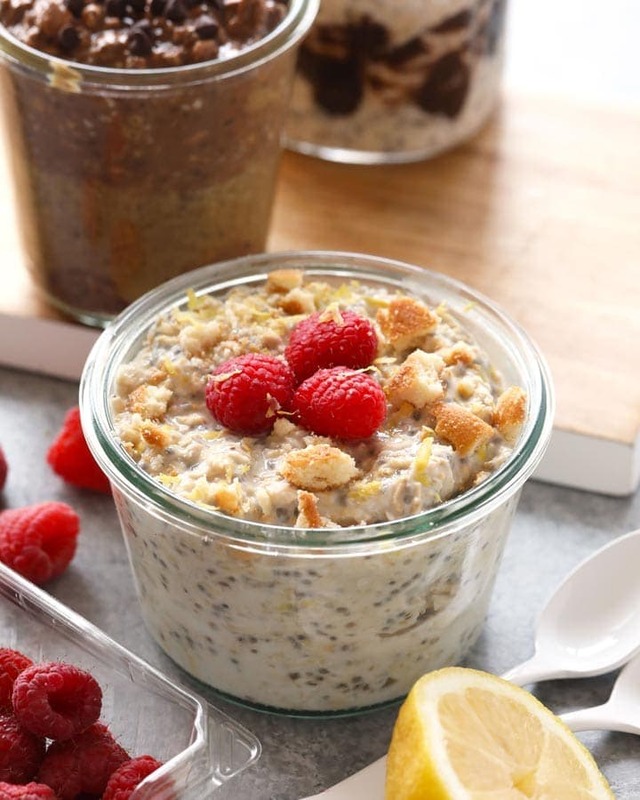 It’s for sure the best way to get the most of your toppings. 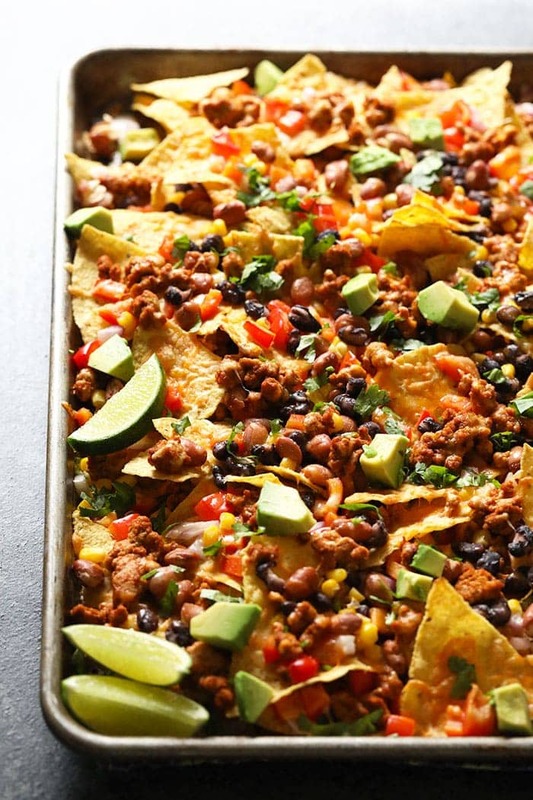 PS: let this recipe be an inspiration for your very own nacho combination! 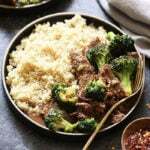 You can switch the chicken taco meat out for any kind of meat your heart desires, or omit it all together to keep this recipe vegetarian. You can also chop up veggies on veggies on veggies if you’re really looking to pack it in. I’m thinking: sweet potato, jalapenos, onions, and green pepper. First, prepare your ground chicken by heating 1 tablespoon of olive oil in a large skillet over medium/high heat. Then, add ground chicken and saute until fully cooked. Add taco seasoning and water and let simmer for 5 minutes. 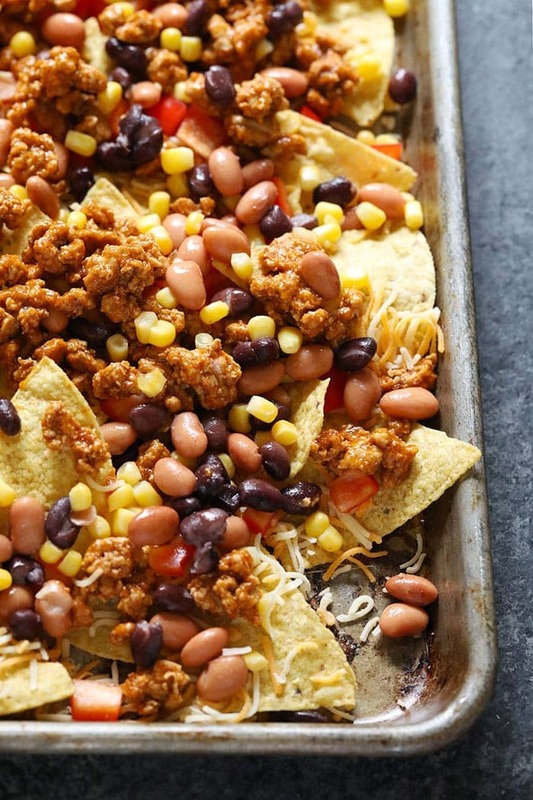 Prepare nachos by lining a baking sheet with tin foil and preheating oven to 400ºF. Then spread on half of the chips and sprinkle on 1/2 of the toppings including the cooked meat. Then, do one more layer of chips and one more layer of toppings. Place baking sheet in the oven at 400ºF for 10 minutes or until cheese fully melts. Then, broil for 1-2 minutes. Serve with your favorite optional toppings such as Greek yogurt, lime juice, avocado, and fresh cilantro. 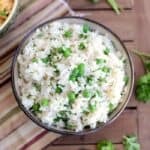 30 Minute Parmesan Rice- 2 ways!